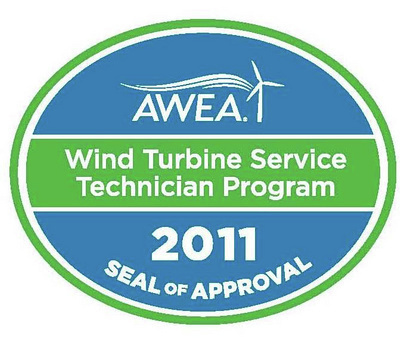 RET 101 Intro to Wind Turbine Technology I, 1 Cr. This course is an introduction to the basic concepts and terminology for how wind energy is captured and transformed into electrical power. Topics covered include non-math mechanical physics, electricity and magnetism, fluid dynamics, and aerodynamics. These physical principles underlie the engineering of wind towers and electrical generators. RET 102 Alternate Energy Power Generation, 1 Cr. Subjects that will be explored in this course are biodiesel, wind, solar cells, fuel cells, ocean wave, geothermal, hydrogen, connection to grid (homeowner), electric vehicles, effect of politics on long term wind generation, other forms. Also research into old technologies as well as new will be explored. This course also discusses the power grid, local utilities and how power is generated and sold back to local utilities. RET 119 Programmable Controllers, 3 Cr. The student will understand the operation of a variety of programmable controllers. The applications, operations, and programming of PLC's are the areas of study with the main emphasis on programming. (Computer and manual methods will be used to program PLC’s.) Prerequisite: RET 141. RET 120 Basic Hydraulics, 5 Cr. Students learn fundamental concepts of hydraulics, lubrication, and bearing technology with a focus on entering a profession in the wind power industry. Lab work includes learning and applying hydraulic concepts using an MB 400 Hydraulic System. Prerequisites: MTH 65. RET 121 Mechanical Power I, 5 Cr. This course focuses on learning the fundamentals of mechanical power. It emphasizes learning the different mechanical components from nuts and bolts to gears, gear boxes, shafts and bearings. It demonstrates the importance of lubrication in maintaining gears and other movable parts. Basic alignment and mechanical physics are taught, including aerodynamics. Prerequisites: MTH 95, RET 120. RET 122 Mechanical Power II, 5 Cr. This course introduces the process of power generation. Discussion includes construction techniques involving cranes, rigging, and mechanical alignment procedures. Assemble a functioning scale model of a power generating turbine and participate in a safety workshop at a local wind farm. Prerequisites: RET 121. RET 141 Electrical Motors/Generator Controls, 3 Cr. This course teaches electrical circuits, electromagnetism, AC and DC electrical theory, industrial sensors, voltage and relays, motor controls, and power distribution systems. Prerequisite: EET 112.